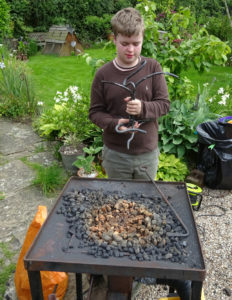 I recently held a blacksmith experience day for my youngest ever pupil. 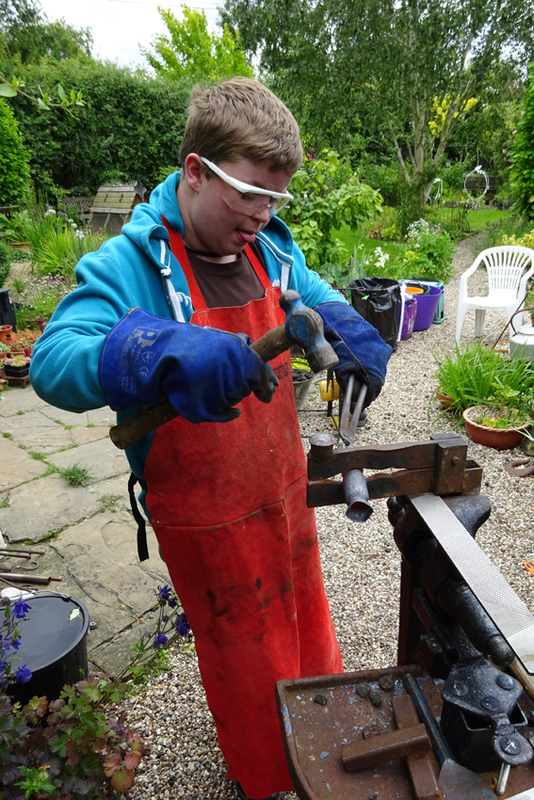 It was a part of his school work experience programme. 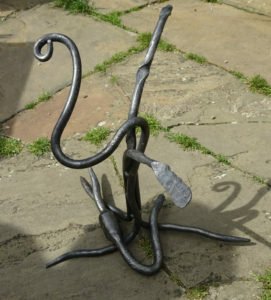 He made a sculpture incorporating a number of core blacksmithing techniques, and a special addition of his own, a worm. It was a first for me, a forged worm. I think we were both pleased with how it all came out. His Design Technology teacher was reportedly also impressed with his work for the day. 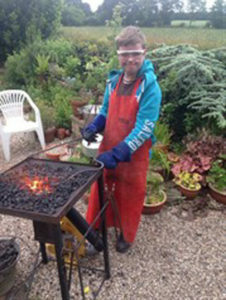 Alongside the forge work, he also took the opportunity to ask lots of questions about becoming a blacksmith and took away lots of information about courses and qualifications. He was a pleasure to teach.